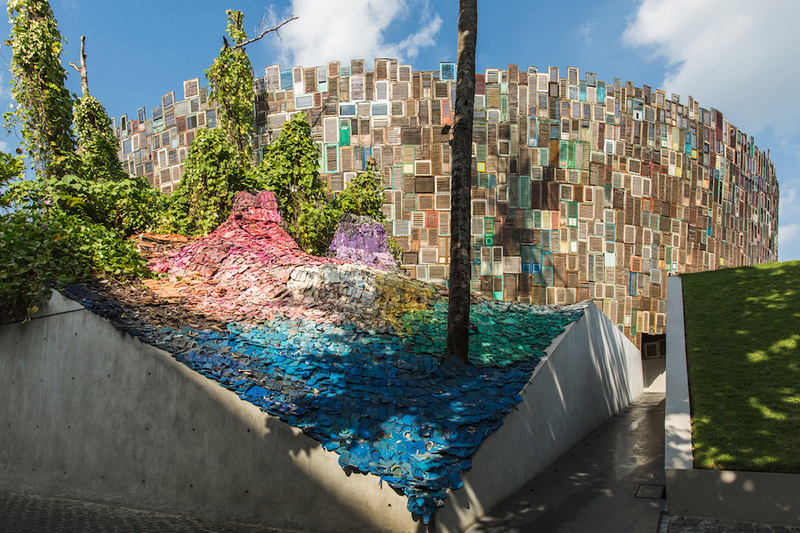 Artist liina klauss, together with Potato Head Beach Club Bali, created a visually stunning installation name ‘5000 soles’ from rubbish that washed up on Seminyak Beach. 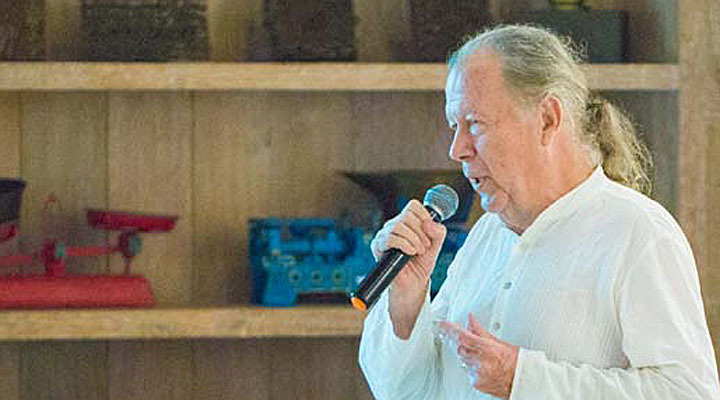 Their goal, raise awareness of ocean plastic pollution through art. One hot, global topic at the moment is ocean plastic pollution; from local organisations right up to the United Nations, this is anthropological nightmare seems to be on all environmentally-conscious minds. Of course, there are still those oblivious to the phenomenon, or those that care but can’t seem to be motivated enough to make a change. How can we change that? One way is create something they can’t help but stare at. For liina klauss, art was an obvious answer. People gaze at art, they look for meaning in art, they remember art. Art resonates to each person differently. First struck by the issue of beach-washed rubbish in Hong Kong back in 2011, liina saw the potential in creating something that would pull people’s focus. “I want to show people a different perspective on what we consider rubbish”, she says. liina uses lost objects within the natural environment as the starting point for works, which spans delicate mosaics to large-scale land installations. 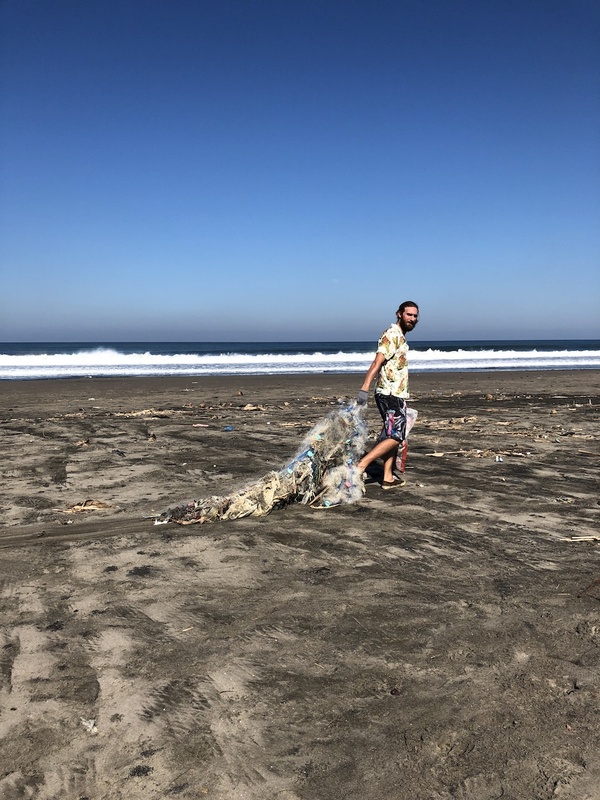 When rainy season comes here in Bali, beach-goers are often shocked by the absolute masses of rubbish that have been washed down through the rivers, into the seas, then pulled back to shore by the tide, scattered along the usually gorgeous beaches. The helpful, daily beach cleans are not a long term solution; a change of mindset and usage of materials is the only way to fix this chronic human-meets-environmental problem. So, together with Potato Head Beach Club’s team, liina klaus went along the shore to pick up one specific item: flip-flops. These synthetic, plastic and rubber footwear are among the most ubiquitous forms and in a period of 6 beach clean ups, the ‘scavenger’ team were able to salvage 5000 pieces. Then, it was liina’s turn to work her magic. Organising the seemingly random flip-flops into groups of matching colours, Liina saw the potential beauty. So, with the help of IBUKU designers and a recycled plastic ‘thread’ made by the Innovation Lab at Green School, Liina constructed a rainbow-hued structure that takes the shape of an ocean wave, which now welcomes people as they enter Potato Head Beach Club. 5000 Lost ‘Soles’. Rubbish washed ashore, without order, without structure, is easy to dismiss. But when picked up, organised and made into a cascading wave of colour – this is something that will grab attention. Of course, Potato Head Beach Club have been fan’s of such ‘art activism’ since the Eko Nugroho ‘Bouquet of Love‘ installation went up at the beach club’s Sunny Side Up 2017. 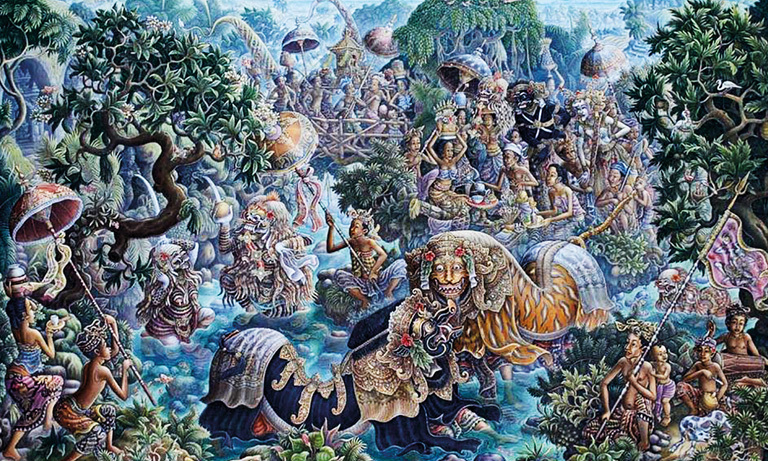 Here in Bali, where all of us walk casually around in our flip flops, the piece is a sobering reminder: what we wear on our feet today may one day be washed into the sea tomorrow, to join the growing graveyard of other soles. 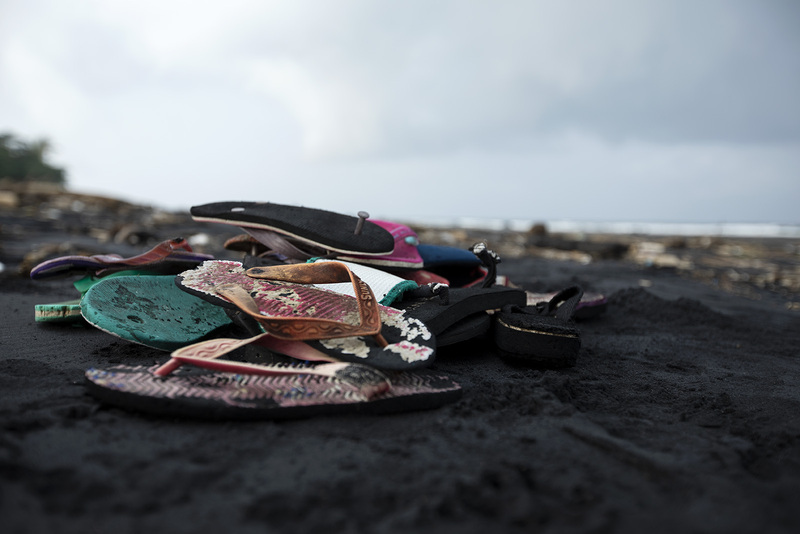 And one more point; if 5000 flip-flops were picked up in only 6 beach clean ups, how many more lost soles are out still there? You can see this liina klauss installation at Potato Head Beach, were it was launched 19 May 2018 and will remain at least for the 2018 summer season.